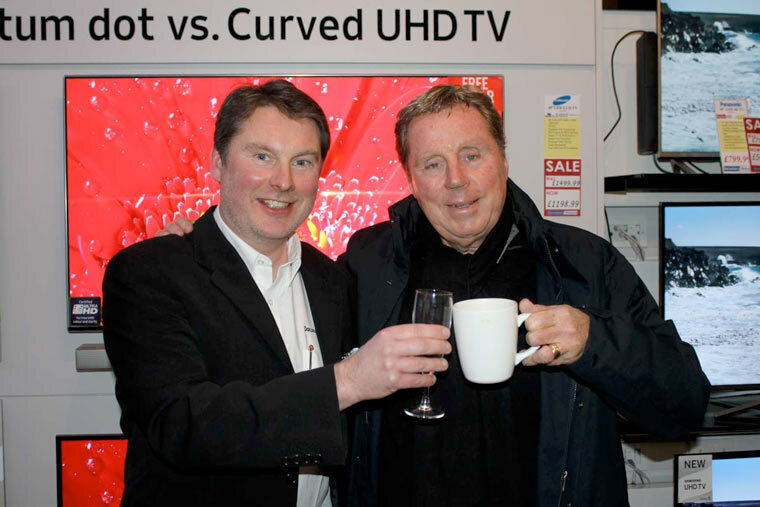 Joining with Dacombes of Wimborne at a recent B2B event, Harry Redknapp officially opened the company’s new showroom. Guests enjoyed quality canapes and drinks with the Renaut family and spent time checking out what the store had on offer from latest model TVs to surround sounds and home cinema. The Dacombes of Wimborne team was also joined by representatives and stockists including NEFF, Samsung, Bosch, Panasonic, Liebherr, and Dyson. He said the company was proud to offer a wide range of products, as well as an improved customer experience. “We were delighted that Harry Redknapp joined us at our B2B event and that he declared the showroom open at our business event. The new store is a massive leap forward for us, as an independent retailer we are aware that the face of retail is changing, which is why we pride ourselves on training our staff and advisors to help each and every customer,” he added.